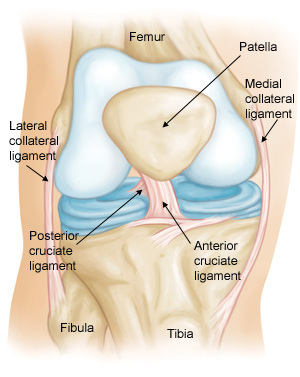 ​The role of the Anterior Cruciate Ligament is to prevent forward movement of the tibia from underneath the femur. The ACL provides almost 90% stability to the knee joint. 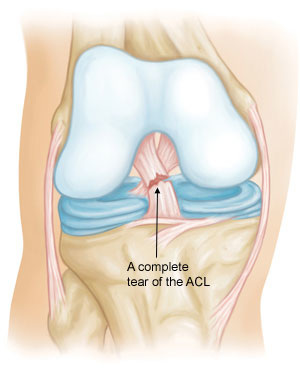 The ACL can be either partially torn or completely torn, as shown below. Surgery can be performed to reconstruct the torn ligament. Full recovery can be six months to a year. Therapeutic Exercise focusing on quadriceps and hamstring strength.